Garlic belongs to the Allium genus. In fact, the word “Allium” is the Latin word for garlic. This strongly aromatic, somewhat pungent bulb has been cultivated for thousands of years for its delicious taste and potent medicinal properties. Its use was well documented by all the major civilisations including the Egyptians, Babylonians, Greeks, Romans and the Chinese. Garlic contains an organosulfur phytonutrient called allicin, a sulfur-rich compound that contains potent medicinal properties and is responsible for garlic’s pungent aroma. 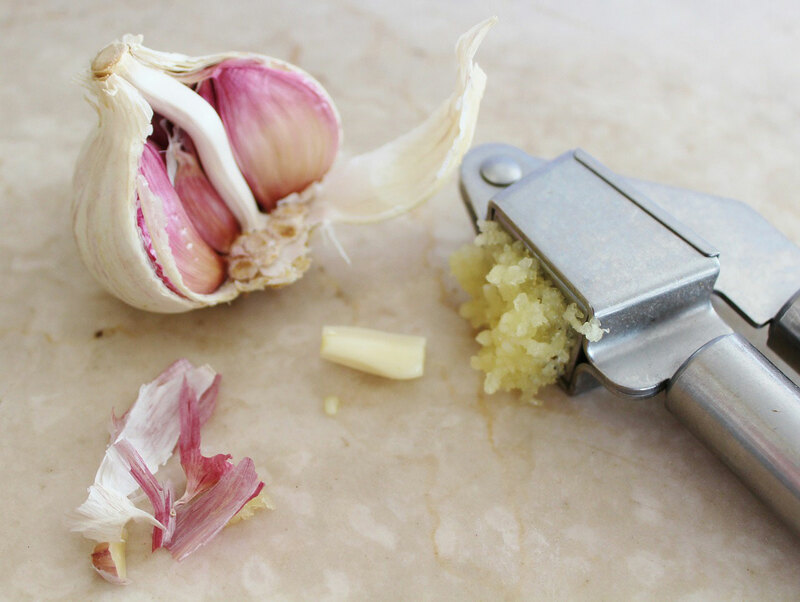 Crushing or chopping garlic causes a reaction which forms compounds that are effective in pain relief and that have anti-worm, anti-bacterial, anti-fungal, antiviral, antioxidant, and anti-cancer properties. In nature, allicin is garlic’s defence mechanism against attacks by pests. There is also another powerful sulfur-rich phytonutrient found in garlic called allyl sulfide. It is said to lower the risk of cancers, including bladder, prostate, breast, colon and stomach cancer. Garlic is a great source of vitamin B6 which is needed to keep your immune system healthy and for the efficient growth of new cells, which is really important. It is also a good source of selenium and the essential amino acid, tryptophan. Tryptophan creates serotonin, one of the key brain chemicals involved in regulating mood and promoting calmness and relaxation. 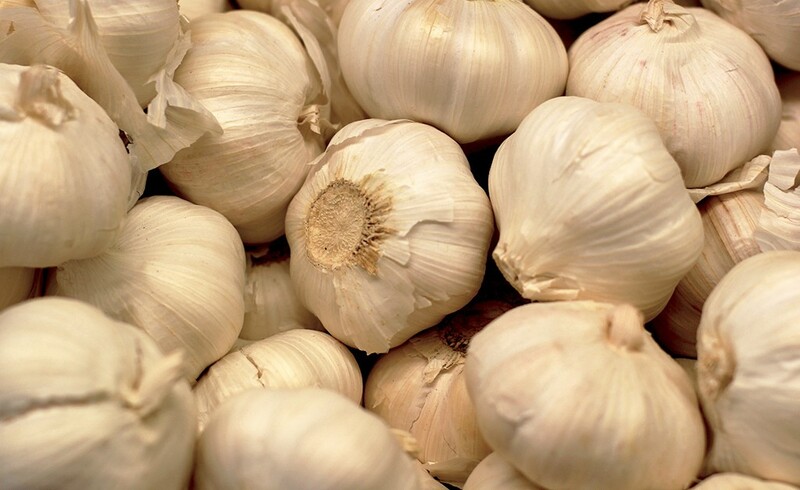 Garlic also helps fight chest infections, coughs and congestion. It improves blood circulation, keeps cholesterol levels in check and lowers blood pressure, all of which reduces the risk of cardiovascular disease. This amazing bulb truly is a blessing. Hippocrates, often referred to as the father of Western medicine, once said “Let food be thy medicine, and medicine be thy food.” I bet he recommended garlic to his patients.